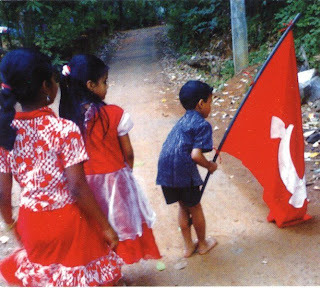 Stella's Musings: Goddess Durga Gets a Red Salute! So you thought all communists were atheists? You ought to visit Tripura state in India where the communists are loudly saying 'Lal Salaam' to goddess Durga. 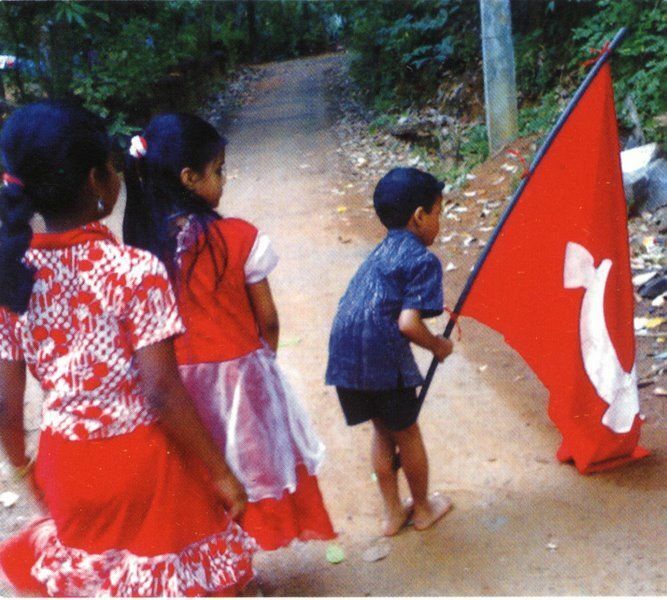 in Tripura, the last bastion of the left front in India. The proof: beside allotting generous amount of fund, the communist government here also arranges for a grand guard of honor to Goddess Durga! Tuesday in capital town Agratala, the Durga idol received a guard of honor from none other than the state police. The move is in keeping with a tradition of Tripura – once a princely state. The tradition was started nearly 150 years ago by the then King Radha Kishore Manikya Bahadur. Radha Kishore, the most prominent among Tripura kings, was a patron of arts and culture. It is said that, in 1949 when Tripura agreed to join the union of India, it put a condition that the Goddess Durga would be worshiped by the government of Tripura. Tuesday’s guard of honor came in accordance to that MOU. A follow up ‘salaam' would come on Thursday - before the idol is immersed in water. This is in addition to the allotment of Rs 3,00,000 for the festival. Ironically, Tripura is right now in the midst of an economic crisis; the Chief Minister recently requested New Delhi to urgently provide it a relief package. Hundreds of state government employees have reportedly not been paid their salaries for months. The huge funding of the Durga puja is, therefore, a baffling move. Or, is this just a move to appease the divine power to get out of the problem?